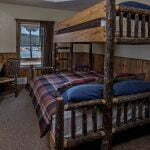 Lodge rooms are located on the second floor of the historic Redfish Lake Lodge. 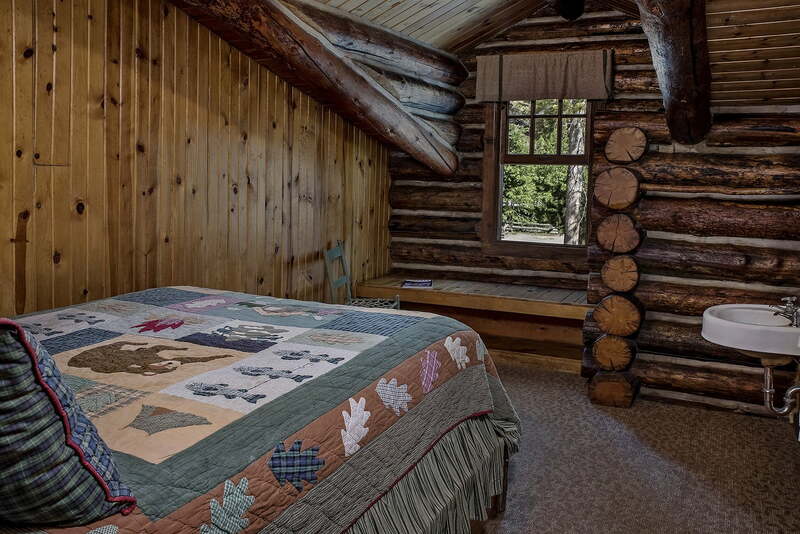 They offer you a chance to experience the historic and rustic qualities of the Lodge in a more social setting. Built in the European tradition with a community bathroom across the hall offering private facilities for men and women. You will have a washbasin in your room. 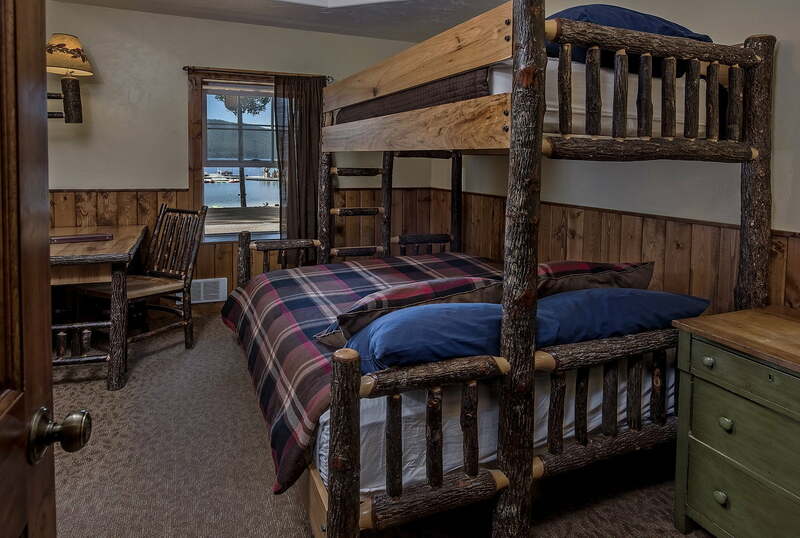 Lodge room #9 offers a lake view with a queen/twin size bunk bed. 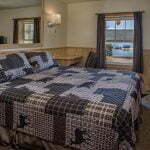 (Remodeled in 2013) The nightly rate is based on an occupancy of 2-3. Lodge room #10 is special. It has been completely remodeled in 2011. 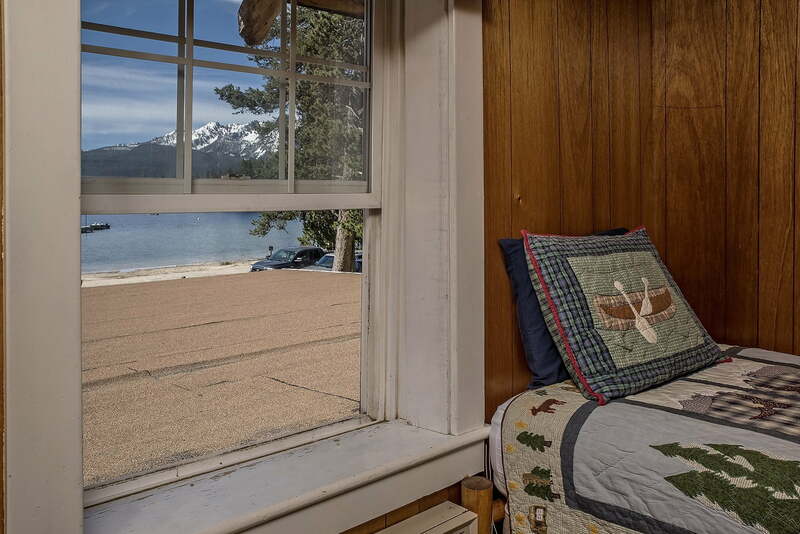 It features a King Size bed, electric fireplace, ceiling fan, and a spectacular view of the lake. 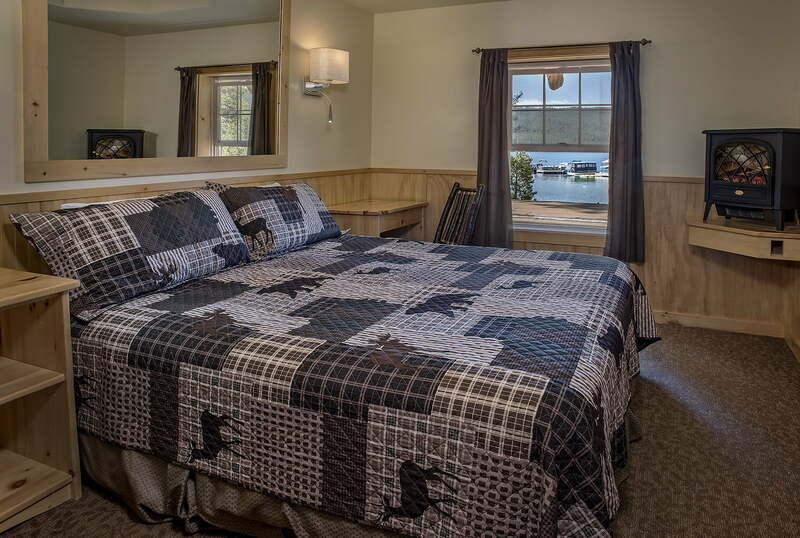 The nightly rate is based on an occupancy of 2. 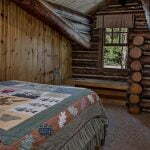 Rooms 17, 18, 18A, and 18B have one queen bed and are located on the backside of the Lodge, offering a view of the forest. These rooms are quaint and not recommended for more than 2 guests.